Heroin is an illegal, highly addictive drug. It is a white or brown powder or a black, sticky substance (black tar heroin). Also it can be sniffed, snorted, smoked, or injected into a muscle or vein. It is often mixed (cut) with other drugs or substances, such as sugar or powdered milk. It may also be cut with poisons, such as strychnine. Other names for heroin are smack, junk, H, and ska. The pleasurable sensation from heroin is called a rush, and the intensity of the rush depends on how much drug was taken and how rapidly the drug entered the brain. When a person injects heroin directly into a vein, the rush occurs within seconds, whereas it takes at least 10 minutes when the drug is sniffed or smoked. 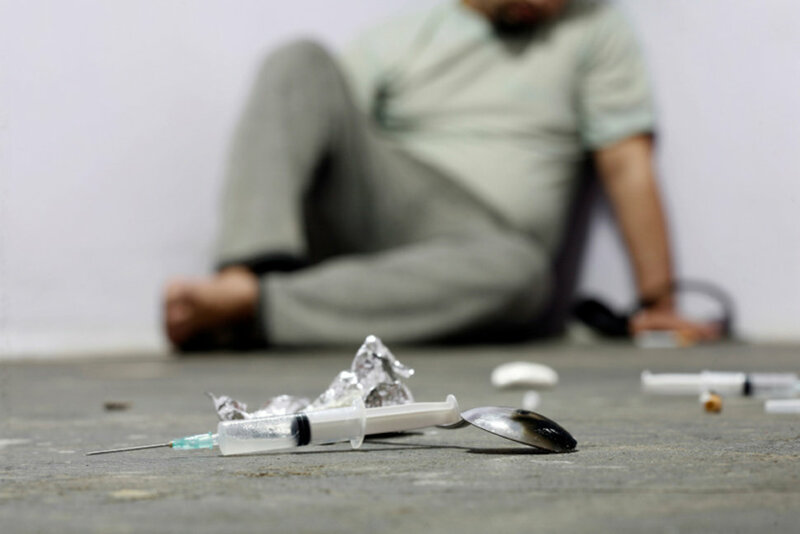 Along with the rush, the person using heroin usually has a warm flushing of the skin, small pupils, watery eyes, runny nose, dry mouth, and a heavy feeling in the arms and legs. Heroin may also cause nausea, vomiting, and severe itching. Soon after the rush, the person feels drowsy and very relaxed. Breathing and heart rate slow, thinking becomes cloudy, and the person may fall into a state like a trance that can last 4 to 6 hours. With repeated use, heroin causes the person to need higher and higher doses of the drug to get the same effect (tolerance). It also causes the person’s body to need the drug to function (physical dependence), which leads to withdrawal symptoms within a few hours if the person stops using it. Physical and psychological dependence can develop within a few weeks if the drug is used daily. Heroin can be detected in the urine for up to 24 hours. And also in blood for as long as 48 to 72 hours after use.